A friend of mine told me that he was in charge of his diabetic human friend’s postoperative care. He said the doctors were quite worried about her healing because of her diabetic status, as diabetics may have slower wound healing. I think pet owners in general are somewhat lackadaisical about their pets’ postoperative care. I’ve seen people do some crazy stuff over the years, like taking a pet running the day after a dog spay. Most of our readers are too conscientious to do something like that, but it’s not a bad idea to review some general post-op suggestions. There are some postoperative care instructions that hold true for the majority of surgeries. And, as you can imagine, there is a little twist for diabetic pets. 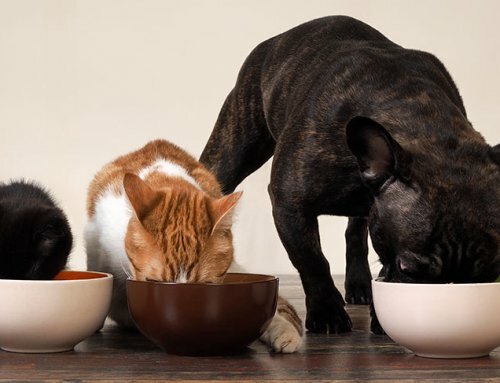 Most of the time we encourage owners to feed a smaller meal for dinner after a pet comes home from surgery. 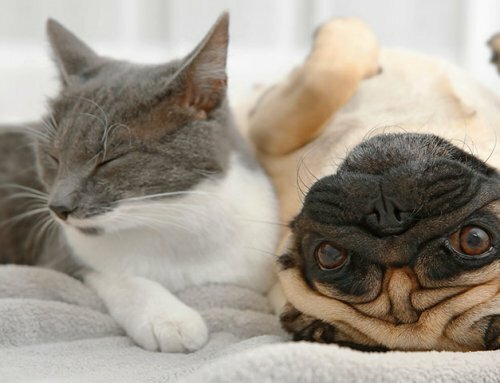 Anesthetics and narcotics can cause nausea, so when you get your pet home after a procedure you might want to only feed half or 2/3 the regular amount. For diabetics, it would then also make sense to decrease the insulin dose given with that meal. After the first night you are usually fine to feed normal quantities. 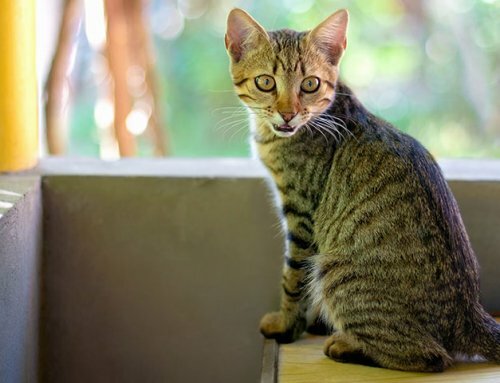 If there was dental work done, your vet may ask you to feed soft food for a week or more. And if the surgery was gastrointestinal, your vet will likely ask you to feed a very bland low-fat diet post-op. Now, let’s next prevent a pet from chewing or pawing out the sutures. Nothing is quite so frustrating as performing what I egotistically think is a surgical masterpiece only to have Fluffy destroy it because his humans didn’t want to put on the “E-collar”. Because I understand how resistant many folks are about cone collars, I carry a big selection of soft padded donut collars and cloth or paper “E-collars” in addition to the good ole fashioned plastic cone collars in my own hospital. If I do surgery along a pets body wall, I often take stockingette material and cut out holes for the pets front limbs to make the pet a t shirt. They look like t shirts with the arms cut off. If the surgery was on a limb, I may bandage the area to prevent the pet from licking it. 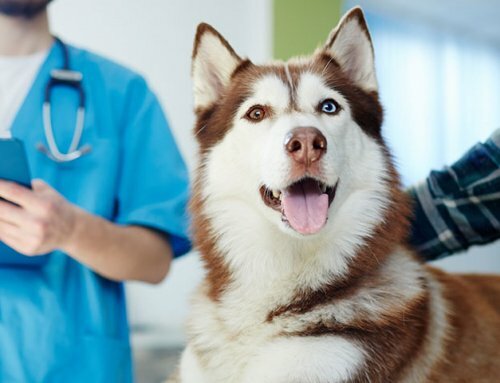 If a pet has chromic disease such as diabetes we might leave sutures in for 2 weeks rather than the standard 10-12 days–just to give a little extra time to heal. Give it! I routinely use narcotics and anti-inflammatories and local anesthetic with pretty much any surgery I perform. I then send pets home with anti-inflammatories and narcotics (whether tramadol or a fentanyl patch) for the next couple days as needed. Either I will call a client or I will have my staff call the client the next day. Maybe once or twice a year a client will tell me the pet was uncomfortable overnight yet when questioned they didn’t give the pain meds because they were afraid of the pain meds. This “bite the bullet” mentality is not fair to our fuzzy patients! 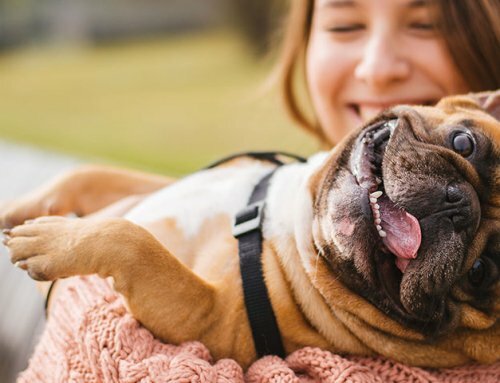 Of course pain meds are not without potential side effects, but few pets actually suffer from side effects of pain meds. Sometimes clients tell me they don’t like to give pain meds because the pet feels drowsy on them. If I have surgery I would very much want to sleep through the next couple days! Drowsiness is an acceptable side effect when the alternative is pain. This is not rocket science. It’s not just the skin sutures that can foul, we vets advise exercise restriction postoperative care to prevent sutures inside the pet from slipping. If the surgery site is a high motion are like an armpit or the groin, exercise can slow healing and even build up fluid in the area. Don’t be that client who takes the dog running after a dog spay. Likewise, jumping into the car or going up a big flight of stairs is usually a no-no too. If your dog routinely runs the fence line with the neighbor dog, take him outside on a leash. Don’t let Fluffy outsmart you. If the surgery is orthopedic in nature, exercise restriction is even more important! If there are a few meds, it is easy enough to keep track of. If there are 3 or 4 meds going home you might wish to make a calendar with little boxes to check off when given, particularly if there are several caregivers administering them. I often write explicit instructions on med labels, particularly for once daily anti-inflammatories. For example, I may write, “Give one pill once daily for 3 to 5 days as needed for pain. Discontinue if GI upset. Fluffy received an injection of this med post-op today. ____Thurs ____Fri _____Sat _____Sun ____Mon”. Luckily I have computerized records and a dymo label printer, so all that (just barely) fits onto the printed label! Most vets send home written postoperative care instructions. Some clients get so excited to see their pet again they don’t pay much attention at the time of discharge. I usually wait to bring in a pet for discharge until the nursing staff has already gone over discharge instructions and medications. Remember, you can always ask questions! If you don’t clearly understand the plan, mistakes can happen. 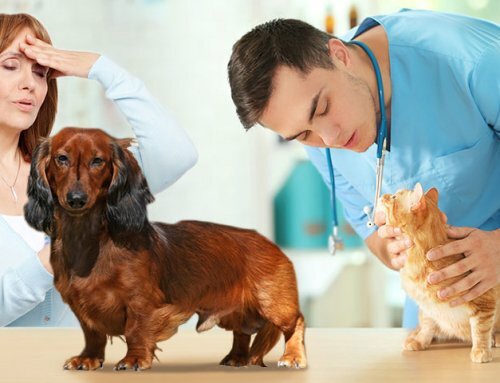 We all want a good outcome, so pay close attention to your vet’s discharge instructions.